Driving can be many things; it can be fun, boring, convenient, time-consuming, and frustrating. But at its worst, driving is nothing short of dangerous. The level of danger that you are in when driving can depend on a number of factors—someone texting while driving, weather conditions, driving under the influence, and so on. One thing that can make a car journey particularly hazardous is the condition and nature of the road itself. And although there is nothing that is as dangerous as certain roads across the world, in the United States there are a few roads that are notorious for being slightly more dangerous than the rest. Here are seven of the most dangerous roads in America. U.S. 550 runs through New Mexico and Colorado. It’s a windy road that, at its hairiest, narrows to just two lanes, cuts into the sides of mountains, and rises high above sea level. 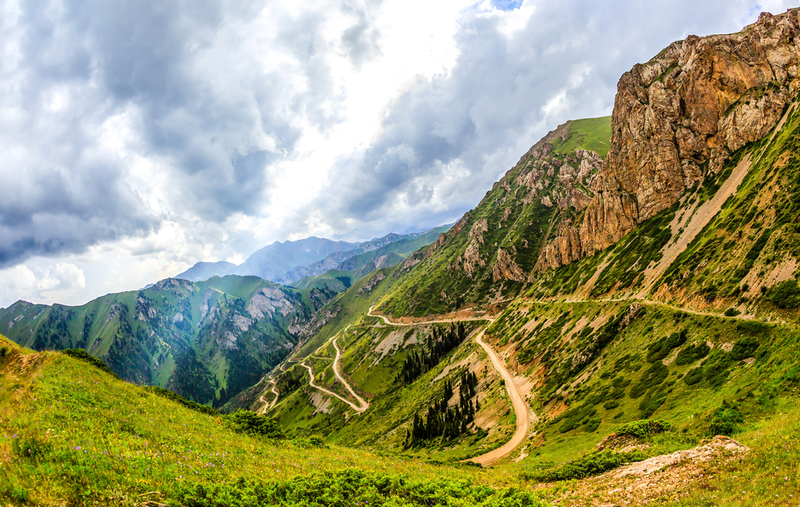 This section, in Colorado, between Silverton and Ouray, is known as the Million Dollar Highway. The most unnerving thing about it is the lack of a shoulder or guard rails, which are omitted to ease with snow removal. This highway stretched down the entire East Coast, and has more than a couple of dangerous sections, particularly in Connecticut, New York, and Rhode Island. But the 382-mile stretch in Florida is almost definitely the most dangerous, as it has more fatal accidents per mile than any other highway in the United States, with 1.73 in a four-year period. If you ask any truck driver which part of interstate 10 is the worst, they will probably each give you a different answer. However, there are three that stand out as particularly bad: California, Arizona, and Louisiana. The California stretch has the most accidents, but Arizona runs close with 85 deaths a year. The most uncomfortable stretch to drive on however, is in Louisiana, where the recent hurricanes are still evidenced in the damaged pavement and large number of potholes. Interstate 15 runs from the top to the bottom of the western United States, but the most dangerous area is the stretch that runs from Las Vegas to Los Angeles. Though it is a relatively short stretch of road that runs through a vast desert, it unfortunately encourages speeding, distracted driver, and other lax behavior such as not wearing seat belts, all of which are the main causes of most of the accidents there. Though it is perhaps not the most commonly traveled road on this list, the Maine 1 is not a fun road to drive. It is cursed by poor road signs, sharp curves, and harsh weather. Furthermore, there is a large population of moose that leads to many dangerous situations. All of this combines to create the higher mortality rate along rural lanes in Maine than in any other state. Perhaps one of the most dangerous roads in the world, let alone America, the Dalton Highway was made famous by the popular reality show “Ice Road Truckers.” Incredibly isolated and often frozen, this road is so dangerous to drive that helicopter patrols must scan the route twice a day to check for accidents and breakdowns. This is another case where the open road encourages speeding, and thus high-speed accidents; and because it is so far away from everything, it can take a long time for any sort of help or emergency services to arrive—80 minutes at its worst. So there you have the seven most dangerous roads in America, but remember that many accidents are preventable, so if you are planning a road trip any time soon, be extra careful to plan your route out carefully and be a responsible driver!